HSCD proudly invites you to enjoy our second annual evening of fashions with our "Fashions for Funds" Fashion Show. Camrose clothiers Bra Necessities, Fringe Benefits, Styling with Linda Kreamer, and Twig will be highlighting spring and summer fashions. Join us for an enjoyable evening at the Camrose Resort Casino Ballroom. Evening includes appetizers, silent auction, 50/50 draw, and door prizes. "Bringing grief and death out of the shadow is our spiritual responsibility, our sacred duty. By so doing, we may be able to feel our desire for life once again and remember who we are, where we belong, and what is sacred." Through open conversation in a natural, comfortable setting, we can bring death out of silence and increase awareness of death while helping people make the most of their lives. Join the conversation at this drop-in, no-fee gathering where all things death and dying are open for discussion. All Death Cafès occur on the lower level of the Camrose Public Library. Please note, this is not a grief-therapy or support group; rather, it is a conversation forum. Join us for another film in our Exploring Death Through Film series. Sunday, May 6 was National Hike for Hospice and the kick off to National Palliative Care Week. THis is an endeavor to raise funds and awareness of end-of-life and grief care in Camrose and District. Hospice was graced with an intimate and enthusiastic crowd of family, friends, neighbours, and co-workers who walked, ate, and sang for Hospice. This year’s hike took place at the Stoney Creek Center overlooking the ski hill in Camrose. We met at 2pm, walked a leisurely pace through the creek valley, and returned to enjoy entertainment, burgers, and conversation. HSCD proudly invites you to enjoy an evening of fashions and reminiscing with our "Fashions for Funds" Fashion Show. Camrose clothiers Fringe Benefits, Twig, and Bra Necessities will be highlighting spring and summer fashions, as well as a nostalgic peek at ensembles of yesteryear. Join us for an enjoyable evening at the Norsemen Inn Ballroom. Evening includes food, silent auction, 50/50 draw, and door prizes. This event is a charity hockey game, sponsored by the Hospice Society of Camrose and District. On Feb 8, 2018 the CFCW Critters are coming to play a team of volunteer hockey players selected from Coaches of the Camrose minor-league hockey teams. The CFCW Critters are a fun-filled, entertaining hockey team that do charity work for numerous communities. This is a fun family event, with all funds raised supporting programs of the Hospice Society. As well as selling tickets for admission to the game, we are offering a live auction to offer the opportunity to be a "coach" for each team. The highest bidder for each coaching spot can pick the child/person they wish to be “fun coach”. This is a wonderful opportunity for a child to say they coached the "CFCW Critters Hockey" team for a night. The evening will also include a silent auction and a 50/50 raffle. What is the meaning of medical assistance in Dying for us as citizens in Canada, as communities, as families and for individuals? 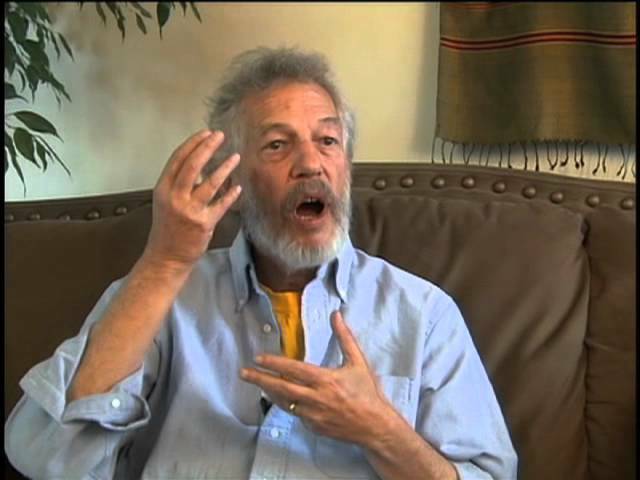 What are the key aspects of current conversation regarding M.A.I.D. within our country? Dr. Janet (Jan) Storch is a nurse who has been deeply involved in nursing ethics, health ethics and research ethics throughout her career, including the debates about physician assisted death. She studied and taught at the University of Alberta, and was Dean of Nursing at the University of Calgary. She moved to Victoria to be Director of the School of Nursing, where she also has taught and conducted research on moral distress. HSCD invites you to view Dr. Stroch's documentary, and to share in conversation on December 5th. The Camrose Public Library hosts two showings, 12:30pm, and 6:30pm. 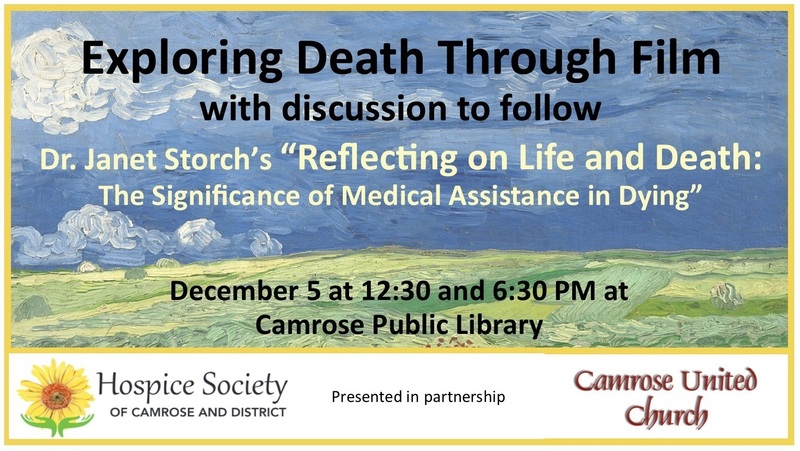 "Reflecting on Death" is presented in partnership with Camrose United Church.